We are specialists in the safe removal of hard bonded asbestos sheets from properties such as Barn’s, Garage roofs & Industrial Buildings. We are experienced in the Health & Safety requirements to carry out this specialist work. Once safely removed we can re-cover your property with the latest highly insulating composite sheets aesthetically designed to complement your building. 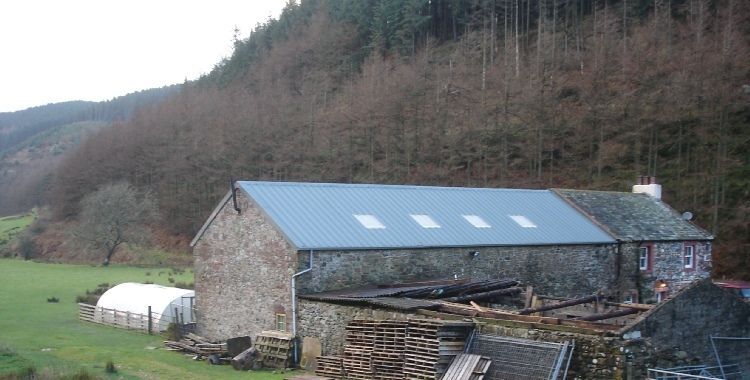 Goodwin Roofing were contracted to safely remove the asbestos sheets and replace them with new insulated roof panels. This double skin roof was leaking but structurally sound. A secondary metal sheet was installed on top of the existing asbestos sheet and the existing gutters lined with a single ply membrane. The Asbestos sheets on this Domestic Garage were cracked and leaking badly. Goodwin Roofing safely removed the Asbestos and replaced with a single skin plastic coated metal sheet.